We stock a range of Australian designer and bespoke jewellery brands to suit different tastes and personalities. All pieces are beautifully unique. Elk Accessories create jewellery that is cute, quirky and whimsical. Palas is creative, elegant and stylish whilst Samantha Wills is edgy, modern and magical. 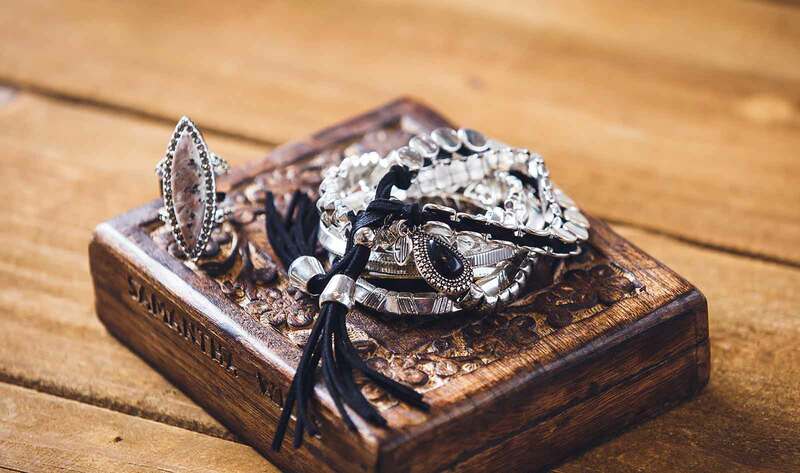 Samantha Wills creates handmade couture pieces and show stopping jewels – her loyal celebrity following sees her brand on A-listers including Eva Mendes, Kate Bosworth, Drew Barrymore, Kate Hudson, Katy Perry and Jennifer Lopez. Visit us in-store to see the full ranges available.